Social Web Global Observations, part two. We began outlining what to capture in this series of essays in January, with an introductory shout out – “Social Media Is Boring – Long Live the Social Web!”. Beyond that we got into the “Productivity Mess”, in our first essay in the formal #SWGO flow – having a guesswork that “In the long run, all is open!”, to twist the John Maynard Keynes famous quote. And there we referred to Open Source on an Open Web in an Open World. Today’s topic: Sound and Music. Let me admit, to begin with. I am addicted to music. It helps me breathe and meditate. It helps me concentrate. It helps me relax. It helps me keep up the energy in the running track. In short – Music Is Life! I have been consuming music as long as I can remember. I loved pop music and rocked to the beat already as a six-month old baby, for what I can research being The Beatles with the Revolution album (I was told Beatles was a favourite). Beyond buying my first seven inch vinyl in 1974 as a seven-year old (ABBA – Waterloo), I have been DJ’ing since mid-eighties in my teens – and still do. 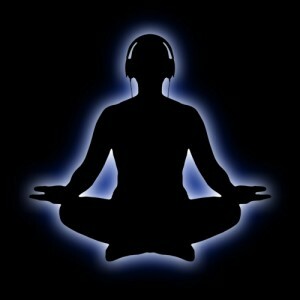 All in all, with this in-depth expeience, I know the power of music. I believe it’s one of the transformative powers of connecting us to the level of making peace in our community at large – “music makes the people come together”. There is even research showing that if we share a joint music experience, our brain waves even synch in the room of concerts and dancing! Unification, literally. So no wonder I love the streaming services that the modern social web brings, through all the apps! In the world, before the gadgets-everywhere-around-us era, of course there were sounds affecting our lives. Back in the hunter/collector era, we were surrounded by the sounds of nature, wherever we were. Same in the wave of human development to follow, still living close to nature, but in a more fixed place – the farmer era, living literally on the fruits of nature. What I guess, is that music kept us going, back then, as well as now. In fact we are born with one thing. The beat. We hear our mother’s heart beat in the womb. We get our own beating of a heart even before we get born. We get born, and start to breathe. Breathe in. Breathe out. Repeat. 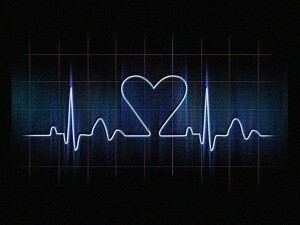 In a lifetime, we have in average 2.2 billion beats of the heart. So, it is really kind of natural, that the beats we hear in music gets us going! Breathing and Pulse. The essential basics of life, sustaining, in a periodical waveform. At the same time. As much as the sounds and music can be beneficial, we now live in a world that never seem to silence out. 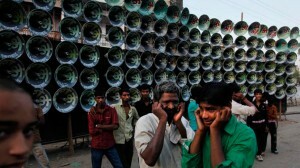 Since the industrial era began, and getting worse – sounds anywhere and everywhere. So, no wonder we turn to our own worlds of Sound and Music, with “headphones on”. But, let me ask one question, as being a human spending much of my lifetime inside the virtual worlds of music inside the headphone-verse – why do all the app developers bother to interrupt us by always adding their own notification sound by default, not leaving the option to us, the victims of sound pollution? It is a very stressful factor where the “Notification Terror” drives our stress hormones, wherever we go. Our own gadget, or our neighbour’s. In fact, that main reason of keeping outside unwanted sounds out with the help of my headphones, gets killed – wherever we go. And, the most lazy of app developers does not even bother to brand their own notification sounds, just using the regular and generic system sound – usually the same sound that notifies on incoming texts/SMS (at least in my case). And that really creates confusion! For me, my SMS is a kinda “family and closest friends hotline”. Only my closest and dearest uses the SMS with me. The rest I encourage to use Mobile Messaging services and chat apps. (Which one’s you wonder? Well, one of the editorial guidelines in the Social Web Global Observations – “no brands mentioned, besides Open Source ones”.) So when another app uses the same sound, it gets with a “false alarm”. So, what to do? Turn it off! Sounds affect our cultural experience alot. At the same time, we live in an era where the Image and the Visual gets overheated in attention. The picture. The video. The Big Screen in the theatre, and the Virality of a moving image on the webs keeps our synapses hot. But, what would those films be without the sounds? Turning to the gala of the galas when talking of films – let me illustrate why sounds are not that observed to the levels of what it should be. There has been a few fellow Swedish countrymen receiving Oscars from the Academy Awards. Ingmar Bergman got it for Best Foreign Movie, amongst other awards, for Fanny and Alexander. But when it comes to sounds and sound editing, two Swedes have collected a total number of six Oscars together – Paul Ottosson and Per Hallberg, three each. And, as much as Ingmar Bergman couldn’t pass by unrecognized in the streets during his lifetime, Paul and Per live their everydayness in almost total anonymity. A paradox in its own right, yes? And yes, with that concluded – imagine a movie without sounds! Even before the sound movie, the silent movie was added with a live musician, soundtracking it in the theatres around the times of the turn of last century with a piano or an organ in house. So – the good and the bad comes with sound. In fact, challenging me with excluding the senses, the hearing would be preferred to keep, where I could let go of sight, if I was forced to choose. 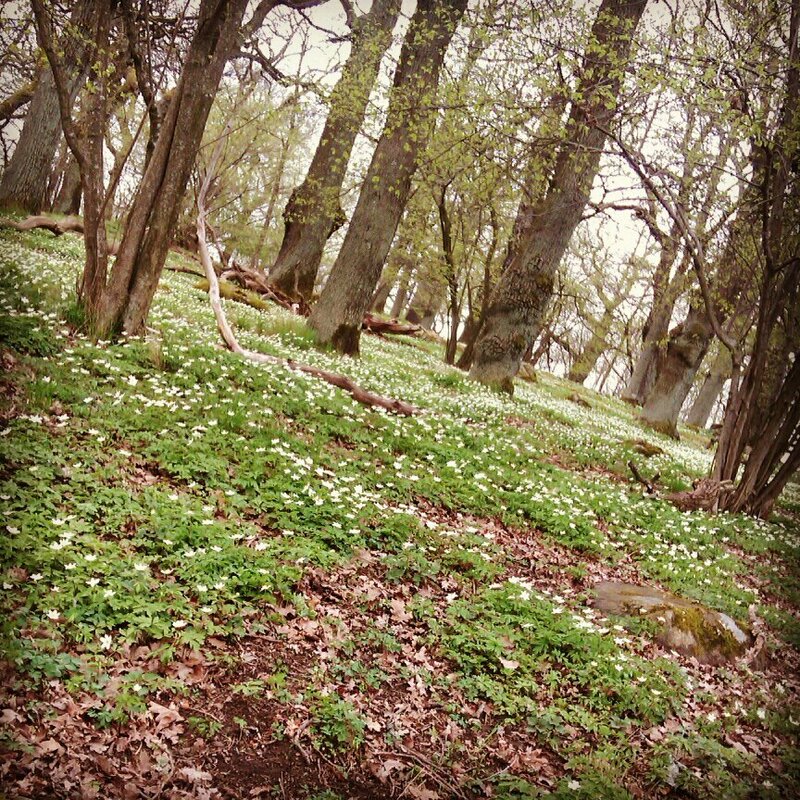 Ekbacken (Oak Hills) Forests of Norrköping, Sweden, in Spring. CC-BY-SA Anders Abrahamsson 2012. So, in the increasing urbanity of humanity, we live in a world which literally cannot shut up. And if everyone is competing for our attention, using sounds as interruptors – getting moments of silent serenity is getting lesser and lesser common. We have to get ourselves out in the nature. 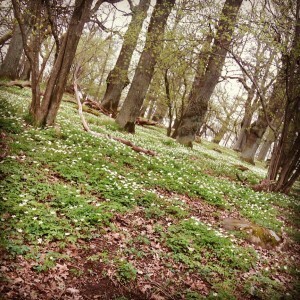 And, in fact, it has been scientifically documented that the sounds of the forests is beneficial for our health. So, get out there! Or, if you can not (why not?) – “there is an app for that”. Nature sounds at your pocket. Or, why not in the Office Landscape? It has been shown that it even increases productivity with the bird’s singing and the trees whispering as a background sound looped at workplaces. Silence must be heard. And listening is one of the hardest skills to acquire. You better train, every day. What does your peers truly say and mean? Dig deep with your ears and spirit! That is truly something to call “social”! Where the introverts have a huge advantage in these voiceferous times of extroversion – with See Me! Hear me! Recognize me! as desperate daily shoutouts. A final note. We have the strange world of music on the web. It is rumoured that a major deal is shutting out free listening of music on some of the major music streaming services in agreement with the big record labels. No pay, no music. I wonder where this will take us. I hope the independent music makers will continue to give stuff for free and just ask and make people to pay if they want, not to get trapped in the world of Big Bucks meaning Big Command and Control. After all – those waveforms, in the end, all strive to liberate our minds and souls. If we take it to the basics – the beginning of the universe is metaphorically illustrated by a Big Bang – from a TimeSpace of Existance where the concept of Time got to be through the creation of the universe. But – hey! There were no sounds? Well – imagined, it is. So! Let that big intergalactic base drum echo in all eternity. We’re here to listen. With care, and selection – when we can! The Soundscape is all around. And we have the power to design it. Will we use that power? This posting was soundtracked during first draft mainly with a driving techno/tech house mix broadcasted via a podcast from Berlin. It was edited and added with some clarifications, typos, and grammar confusions with a playlist showcasing the top 100 romantics classics. The posting is a part of an intended collaborative Essay Series named Social Web Global Observations, in its emergent phase. Collaborators everywhere welcomed, with regards from yours sincerely SMC Web Editor, Anders Abrahamsson.